How to turn off the data validation error message? 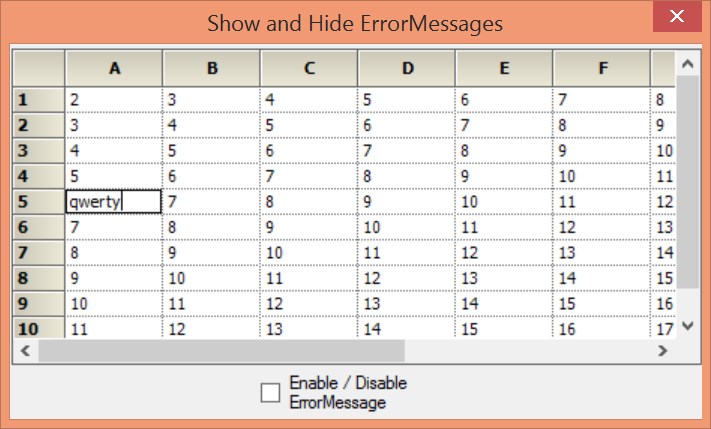 In order to show or hide error messages in that are displayed in the GridControl while validating the cell, the ShowErrorMessageBox property can be used. It can also be done using CurrentCellErrorMessage event. In this article, both the solutions had been illustrated.